Does overwhelming debt have you stressed? Are your credit cards late, over limit or closed? Is there any point to settling with the collection companies? Does settling help your credit score or actually hurt it? Do you qualify for a Chapter 7 bankruptcy? Do you want the phone and mail harassment to stop? 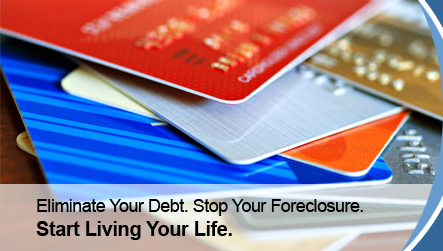 Do you need to stop a foreclosure, tax or sheriff’s sale? Do you qualify for a loan modification? Can you file a Chapter 13 bankruptcy and then obtain a loan modification? 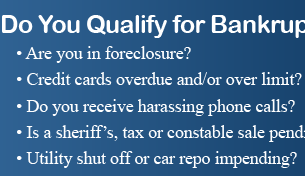 Do you need to stop the foreclosure at County Court or do you need a bankruptcy filed immediately? GET THE ANSWERS, GET A WINNING STRATEGY, AND GET STARTED ON YOUR FINANCIAL RECOVERY! Joseph Claffy, Esquire, has been practicing in the field of bankruptcy and debtor defense for almost thirty years. A free consultation is available to plan your strategy and relieve your stress. Your solution might be a loan modification, a counter lawsuit , a Chapter 7 bankruptcy, a Chapter 13 Bankruptcy or no bankruptcy. Get the advice you need, get a game plan going and get your questions answered NOW. Mr. Claffy has been in continuous practice in Downingtown and in West Chester, the County seat of Chester County for almost thirty years having filed almost one thousand bankruptcy cases. He is a member of The National Association of Consumer Bankruptcy Attorneys, The Pennsylvania Bar Association and the Chester County Bar Association. He is admitted to practice before the Federal Bankruptcy Court and District Court for the Eastern District of Pennsylvania as well as the Third and Fourth Federal Circuit Courts of Appeals. To schedule your free consultation, please fill out the form below. Our scheduling coordinator will contact you to confirm your appointment.